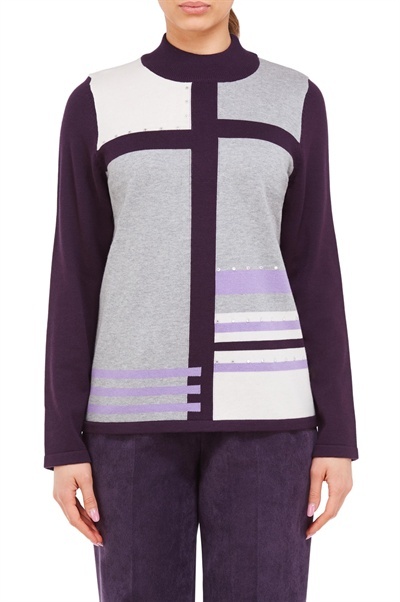 A mock neck sweater in a super soft knit, with a colourblock stripe pattern, metallic embellishments and a flattering cut that skims the body. This cotton acrylic pullover is made of 60% cotton and 40% acrylic. 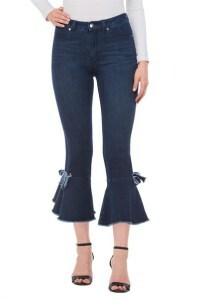 Here's a pair of chic fly front ankle pants with shiny grommets and lace-up details at the hem. The regular size (size 8) has a 27 inch inseam with a 12.5 inch leg opening. These pull-on pants are made of 67% rayon, 28% nylon and 5% spandex (exclusive of trimming). 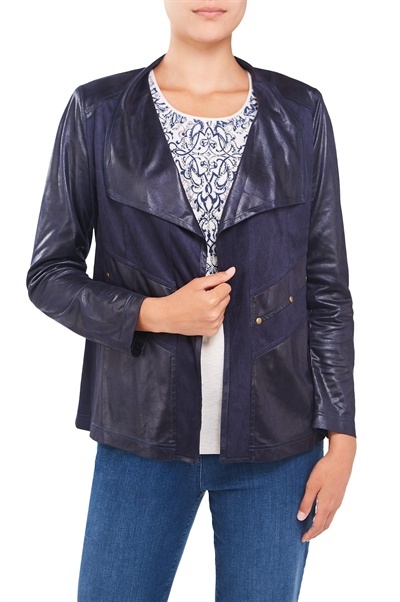 An open front jacket with a cascading collar and panel details in a vintage-style faux suede. The petite size is 24 long, is made of 100% polyester and can be machine washed in cold water. 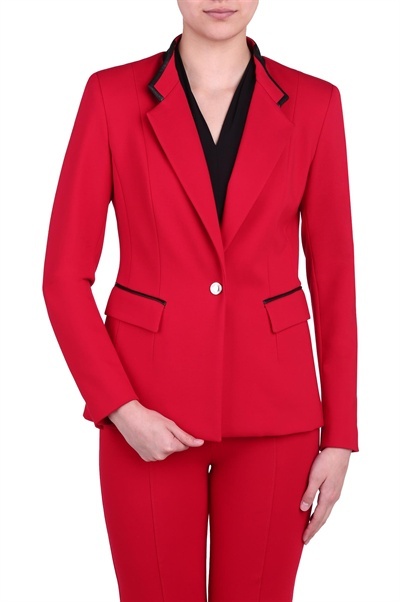 Make a statement in this fitted blazer with professional appeal. The all black look is super chic or spice it up in all red or blue - sure to set you apart in the boardroom. This classic shape gets modern updates with a silver front button and 4 buttons at the bottom of the sleeve as well as leather details on the side pockets and collar. Pair with our matching pants or mix and match. This Slim Blazer is made of 68% Rayon, 28% Nylon and 4% Spandex. Get full details here. The skimmer style features a frayed hem that is totally on trend. Ultimate comfort and compression in a luxurious look and feel – all the attributes you love about our Slims Luxe line now comes in our new Denim addition! Our exclusive Denim 360 fabric has 4-way stretch and 24/7 recovery, giving you a perfect fit every time. 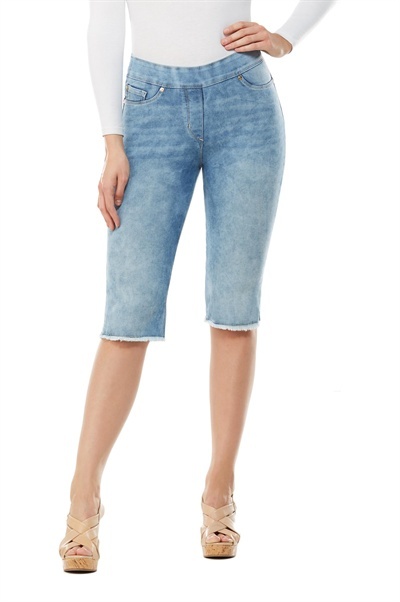 A pull on style with a concealed 4" midsection minimizer and 2" visible waistband for the perfect 5 pocket style jean. Offering gentle compression to maximize figure flattering fit, the end result is all day confidence, Luxe Denim style. While the advent of the Internet has brought some security challenges to our lives, it has also opened up a deep well of resources for businesses across the world, and has given entrepreneurs access to lots of strategies and tools to help them achieve success. A particular advantage is the ability to review the successful steps of others. Another area fashion mogul Peter Nygard focused on to align various parts of his business to ensure success was in product development and product delivery. One of his organizational processes is to determine the customers’ views and desires to ensure there is a match between what the customer wants and what products his company is producing. 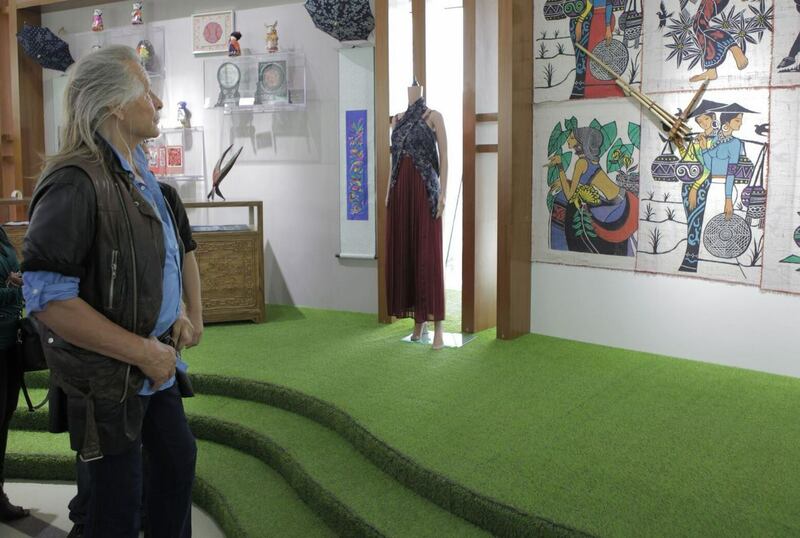 Nygard used a type of 360-degree approach to be able to discover his customers’ views. In addition to asking the customer directly, the company was one of the first to formally invite the sales agent into the product development process at the start of the design cycle to have their input on the customers’ views. The petite size has a 25 inch inseam and 9.5 inch leg opening. This ponte knit is made of 67% rayon, 28% nylon and 5% spandex (exclusive of trimming). 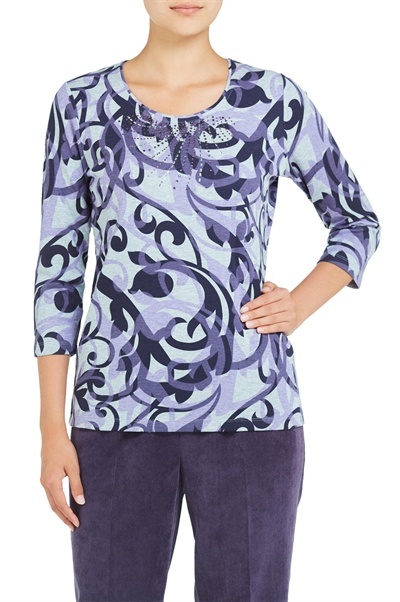 Here's a simple top with a slim silhouette, 3/4 sleeves and crew neck that is boosted with an eye-catching allover swirl print. This Heather interlock knit is made of 60% cotton and 40% polyester and can be machine washed in cold water. Everyone knows Peter Nygards Fashion success but few know of his early years in this rags to riches story. An updated sleeveless utility jacket made with an ultra soft Lyocell fabric. 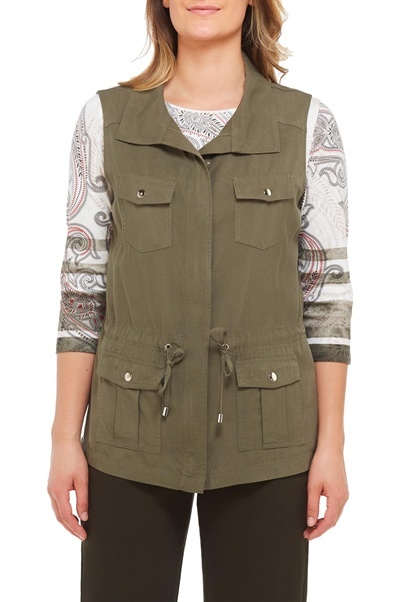 Features flap hip and chest pockets, a drawstring waist and a zipper front with a covered placket. The petite size is 24.5 inches long and it's made of 100% Lyocell. 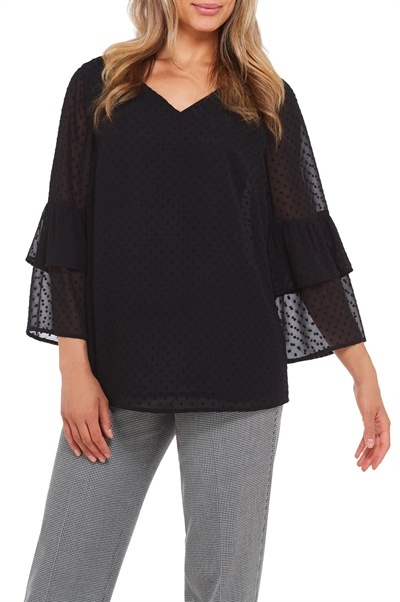 Raised dots adorn this semi-sheer woven top with cropped tiered bell sleeves, a lined body, a V neck and back keyhole button closure. The regular size is 25 inches long and it's made of 100% polyester. 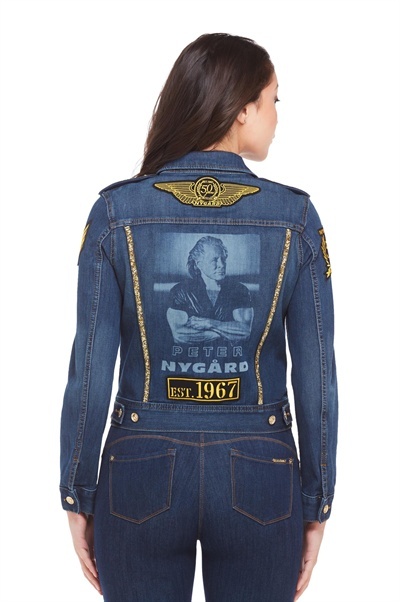 This limited-edition jean jacket features glitzy ribbon detailing encrusted with gold-tone spikes, rhinestones and chain, plus patches, gold-tone hardware and a screen printed photo of fashion designer and mogul Peter J. Nygård. Made of 55% cotton, 22% rayon, 19% polyester and 4% spandex this jean jacket can be machine washed in cold water. In developing this one-of-a-kind product , Peter Nygård recognized shape wear was trending and anticipated where the market was headed. Using his extensive background in knits, he created a compression bottom that is the best fit in the industry, and available at an outstanding price point. 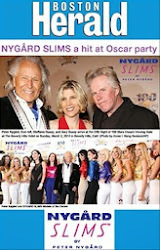 Nygård SLIMS are the first of its kind in the world. 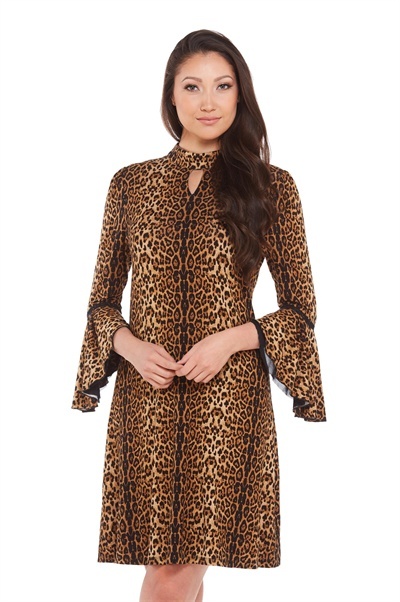 A soft jersey knit tunic boasting a cowl neck collar with leopard lace lining at the neckline. This premium jersey is made of 93% rayon and 7% spandex and complete details can be found here. You can see why this top is in the Jungle Queen collection! Here's a 3/4 sleeve T-shirt with a gold-tone metallic leopard print and deep slits on the sleeve. This premium jersey is made of 93% rayon and 7% spandex and more information can be found here. Looking to add some color to your wardrobe? 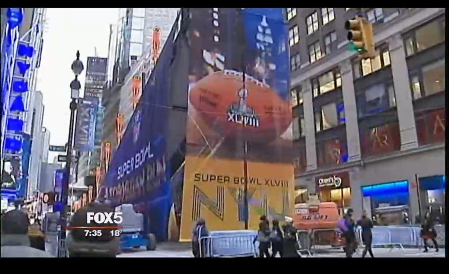 There are several color themes available. 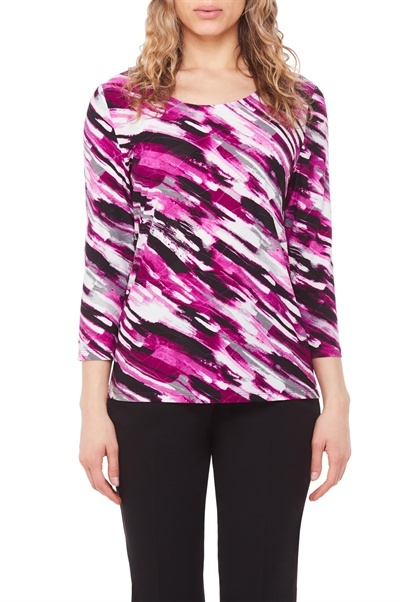 An abstract brushstroke print graces this textured knit top with a scoop neck and 3/4 sleeves. This 3/4 sleeve T-shirt texture jersey is made of 90% polyester and 10% spandex and full details can be found here. After graduating from North Dakota University in 1964 with a degree in business, Finnish-Canadian designer Peter Nygård decided to pursue his ambition, purchasing 20% of a struggling women’s clothing brand. Just 3 years later he bought out the company entirely and transformed it into the vibrant fashion house it is today. 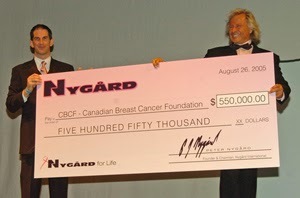 Since then Nygård has received numerous accolades: some of his most notable include being the founder of the Manitoba Fashion Institute, becoming an appointed member of the Canadian Apparel Manufacturer’s Institute and even playing an influential role in establishing the North American Free Trade Agreement. Fast forward to 2017 and NYGÅRD is proud to be celebrating 50 years in the fashion industry. See more of Peter's story here. Like to travel? This tee is for you! 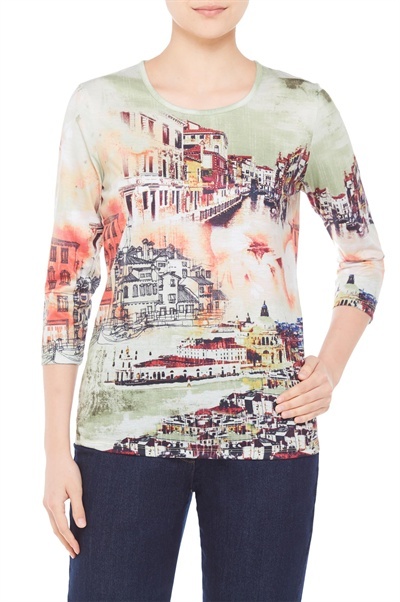 It's a simple top with a slim silhouette, 3/4 sleeves and crew neck is boosted with an eye-catching allover travel motif. The regular size is 26 inches long and it's made of 100% polyester. This knee-length fit and flare dress features a scoop neck, cap sleeves, panels for shape and an abstract print. The regular size (8) is 40 inches long and it's made of 94% polyester and 6% spandex. A dress with a flowing body, a high neck choker collar with a key hole cutout, layered flutter sleeves with open crochet details and a concealed zipper back closure. The regular dress size is 38 inches long and it's made of 93% rayon and 7% spandex (exclusive of trimming). Regular Cropped jeans . Yawn! These have been around long and have probably become your ordinary pick up bottom. Not stylish enough anymore ? Ditch the ordinary hems for these ravishing flare hems with side bows that pull off a different yet classy look . Get the look of luxury denim that takes you from day to night with these bell hem crop jeans by Peter Nygård Jeans, featuring a crop flare with decorative ties, high-polish grommets and frayed hems. Paired up with even the simplest shirt and heels – count on these jeans to do the talking . Available in colors deep blue and white.